Something is scratching around in the attic above Alison’s room. Yet the only thing up there is a stack of grimy old plates. Alison and her stepbrother, Roger, discover that the flowery patterns on the plates, when traced onto paper, can be fitted together to create owls-owls that disappear when no one is watching. 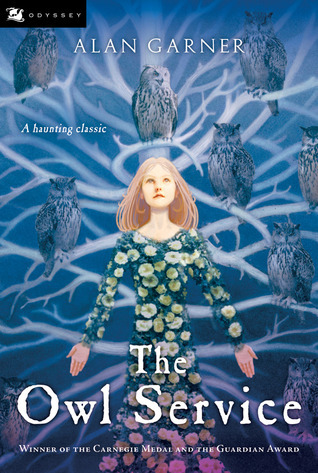 With each vanished owl, strange events begin to happen around Alison, Roger, and the caretaker’s son, Gwyn. As the kids uncover the mystery of the owl service, they become trapped within a local legend, playing out roles in a tragic love story that has repeated itself for generations… a love story that has always ended in disaster. The Owl Service is on our UKYA Top 100 list. Categories: Fantasy, Romance, Social/Family | Tags: Alan Garner | Permalink.